Some paths are drafted even before you take the first step. They are precipitated by a dream, a will to go beyond. For some, this journey makes them to cross borders and start a life in a new country. But for this trip there is an item that cannot be missed: courage. 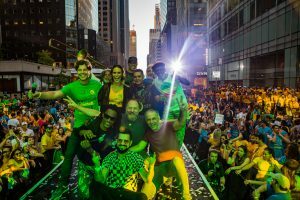 On September 2nd, 2018, celebrating the determination of Brazilians who rebuilt their lives abroad, BR Day brought to New York a lot of music and the incredible energy of the Brazilian people. 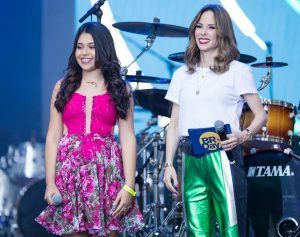 Hosted by Ana Furtado, the event was attended by more than one million people, who enjoyed the performances of the rock band Os Paralamas do Sucesso, the country duo Matheus & Kauan, the winner of the The Voice Kids Eduarda Brasil, and music producer Dennis, which featured special guest appearances by MC Koringa and Toni Garrido. 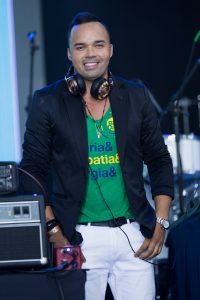 The first to take the stage, Eduarda Brasil could not hide the emotion of performing to more than 1 million people. She thrilled the audience with classic “forró”, a rhythm typical from Brazil’s northeast. 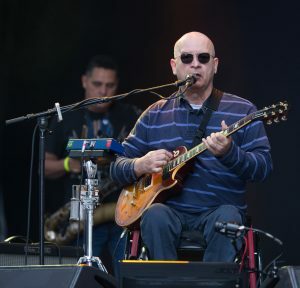 The rock band Paralamas do Sucesso came in the sequence and reminded the public of the importance and the success of the Brazilian music of the 80’s. It was difficult to find a Brazilian who could not sing at least one of Paralamas’ several hits. 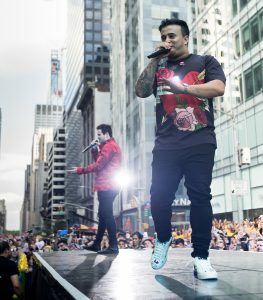 In their first international performance, Matheus and Kauan brought to 6th Avenue the romanticism of Brazil’s country music. The public enjoyed singing together many of the duo successes. 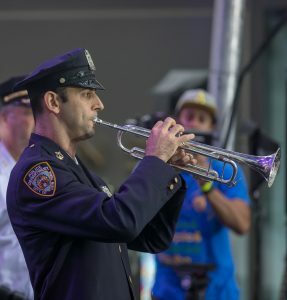 And as if the show could not get any more excited, Dennis debuted Brazilian funk at BR Day. 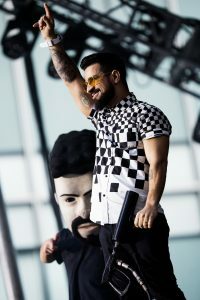 The rhythm that was born in the United States and got a new style on the outskirts of Rio de Janeiro, triumphed on 6th Avenue and closed the party with the highest level of enthusiasm you could have seen. 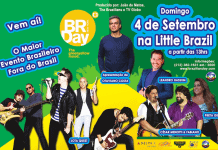 BR Day NY is co-produced by the entrepreneur João de Matos and André Dias, director of special projects at TV Globo. 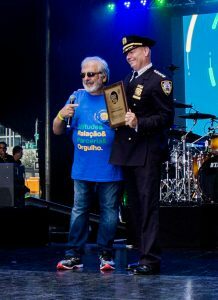 The event, which today is the largest Brazilian party abroad, was created in 1984 at 46th Street, also known as “Little Brazil”, by João de Matos and a group of Brazilians who wanted to celebrate Brazil’s Independence Day and feel closer to their homeland. 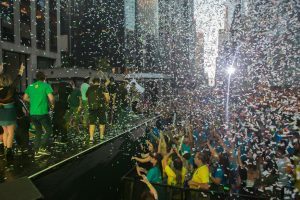 As more and more people attended the event over the years, the festivities had to be expanded to 6th Avenue. 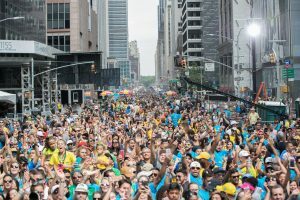 Today, BR Day NY is a complex event that takes place every Sunday before Labor Day, gathering annually more than one million people. 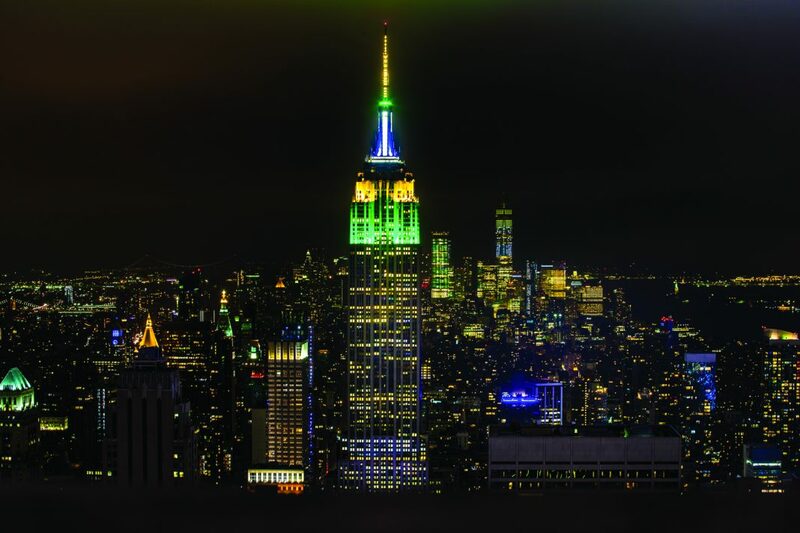 Many of those who attend the festivities come from neighboring states. 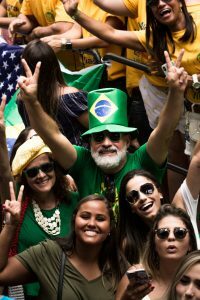 This incredible audience, waving their flags and wearing the green and yellow colors of Brazil, made the party even more special.